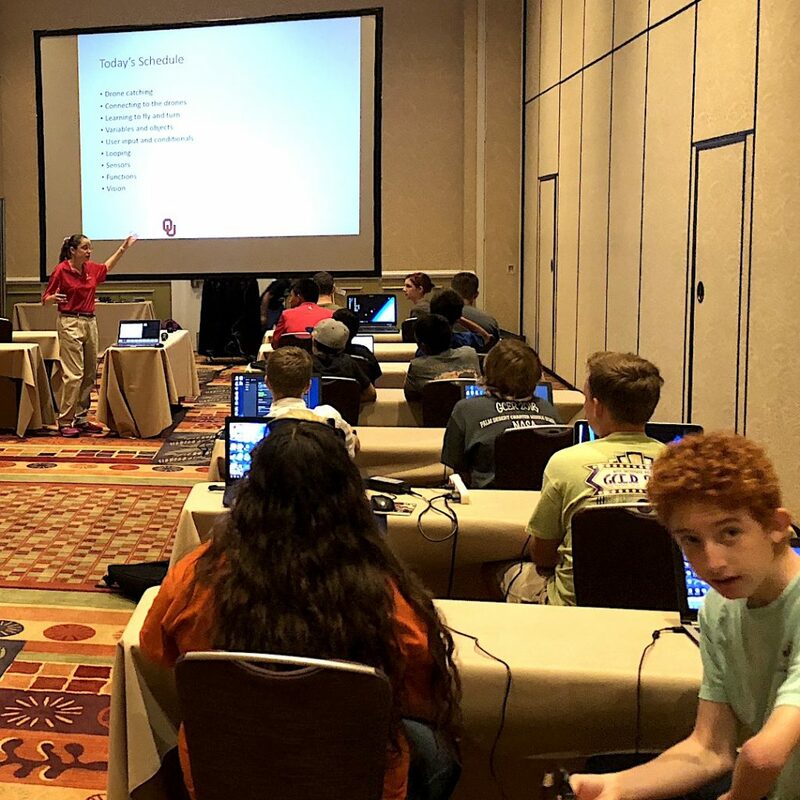 Preconference classes are designed to give students, teachers, and mentors an opportunity to focus on a specific topic in a one day workshop environment. Each year the Global Conference offers several different preconference classes on the day prior to the start of official conference activities. 2018 GCER preconference workshops will be held on July 24, 2018. Attending preconference is optional and does require registration through the GCER registration process for an additional fee. Each of the classes are from 8:30 -4:30 with a break for lunch(not provided). Want to learn how to autonomously control drones? Botball will have a new K-12 aerial contest available soon (coming in Oklahoma in Fall 2018 and maybe other regions as well!) based on autonomous drones. The principles are the same as in botball: learn to program, work on your Science, Technology, Engineering, and Mathematics skills and have fun!! 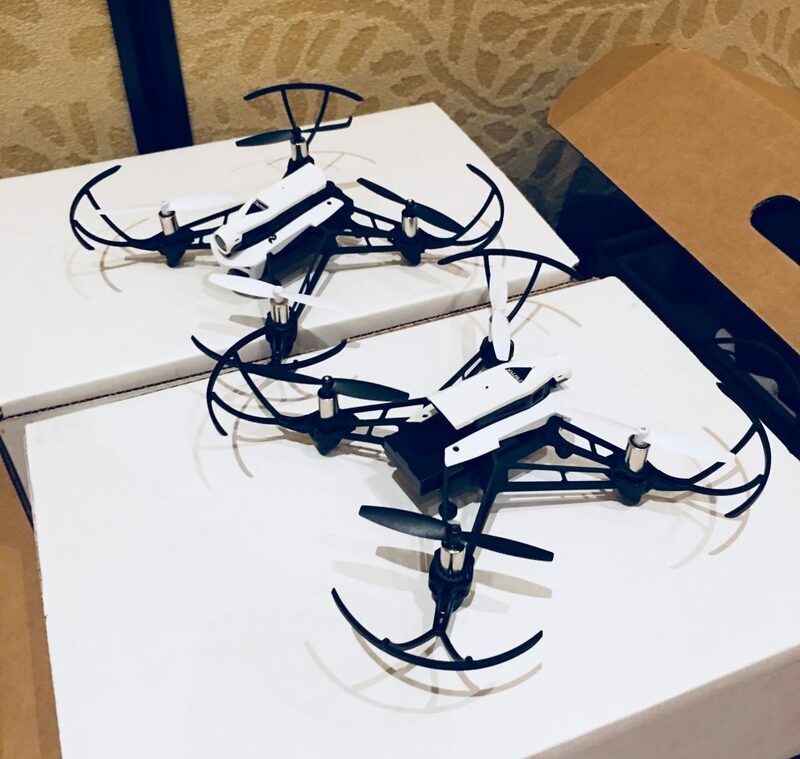 We are offering a workshop at GCER to get your drones and your team in the air! Come join us and learn about autonomous drone programming. Any student in grades 3-12 is welcome! Due to drone insurance regulations, each student or team of students MUST have an adult with them. This adult can be a parent or a coach but minors will NOT fly without an adult. Teachers are also quite welcome! If you want to register and learn how to share the fun of programming drones with your students, please register. There are two routes to registration. First, you can bring your own drone but it must be a Parrot Mambo FPV, or a Parrot Bebop 2, or Parrot Bebop Power. NO OTHER DRONES will be supported! Second, you can signup for the cost of the workshop plus the educational cost of a drone and KIPR will purchase one for you. You will use it in the workshop and then can take it home/back to your team/school/etc after the workshop ends. We encourage younger students (grades 3-6) to focus on the Parrot Mambo FPV drone. Older students (grades 6-12) can choose a Mambo FPV or a Bebop. The Mambo FPV is a great and safe starting drone for anyone.